Pre-Primary on 11 and 12 March 2019 where we celebrated the spirit of learning. The event commenced with lighting of lamp to evoke the blessings of Goddess Saraswati. The students of Pre-Primary welcomed the august gathering and honourable Principal Ms. Priya Arora in four different languages – English, Hindi, Punjabi and Bengali which was followed by a Shiv Stuti, because before every start the blessings of Almighty creates a divinity in the atmosphere. The most important part of the day – Graduation Ceremony started with the tiny tots of Pre-Primary dressed in Graduation robes and caps walking on the stage. 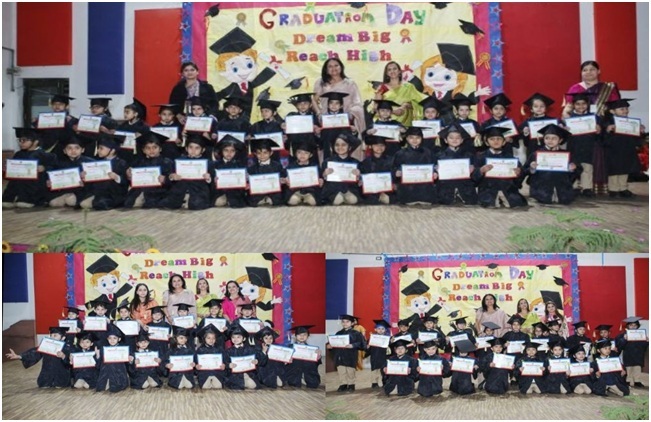 The Principal felicitated the students with the Certificates of Graduation. 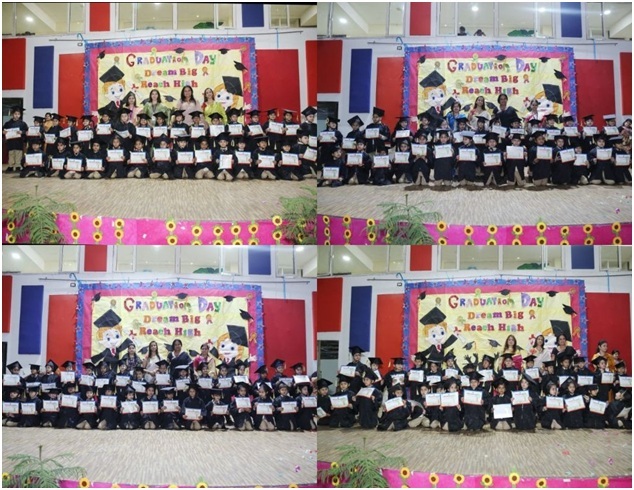 Children looked all pretty in their graduation robes and caps. The Principal Ms. Priya Arora addressed the gathering and advised the parents to be patient and lead them by example. Her invigorating words enlightened the audience. The moment of pride and delight was experienced by all the teachers when their students articulated their joyous and memorable journey of KRM in the last two years. The programme concluded with the Vote of Thanks by a student expressing gratitude towards one and all.